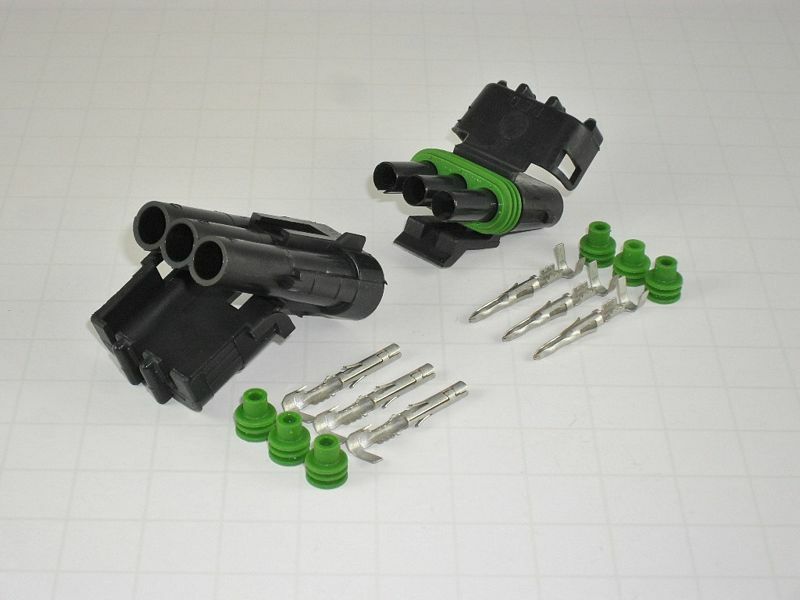 Delphi Weather Pack Connectors are environmentally sealed electrical connections designed to withstand exposure to extreme temperatures and moisture. 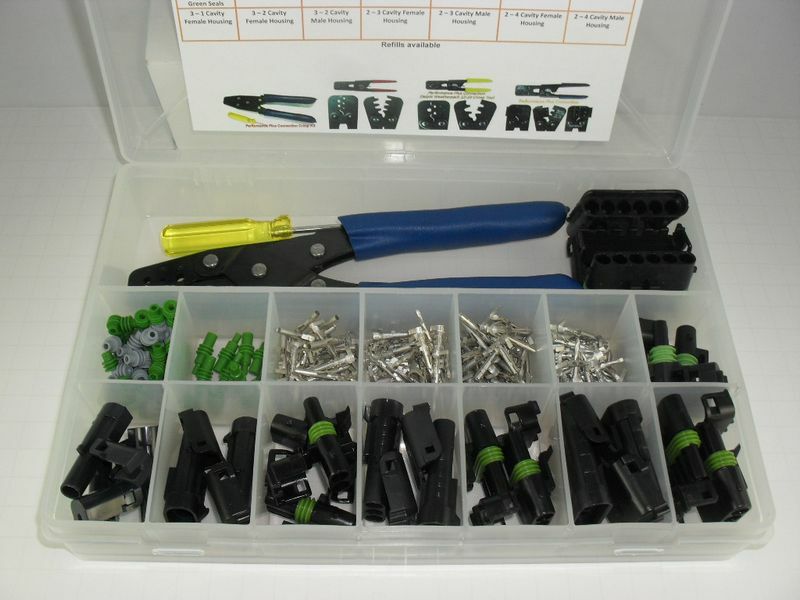 Terminals are tin plated and have special core wings which allow crimp-only connections, eliminating the need for solder. 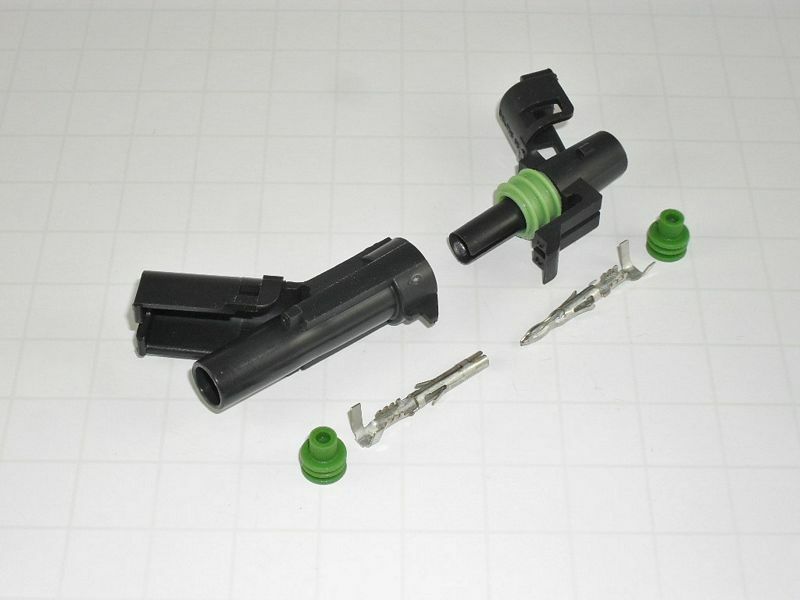 The connector and cavity seals are triple-ribbed and made of self-lubricating silicone. 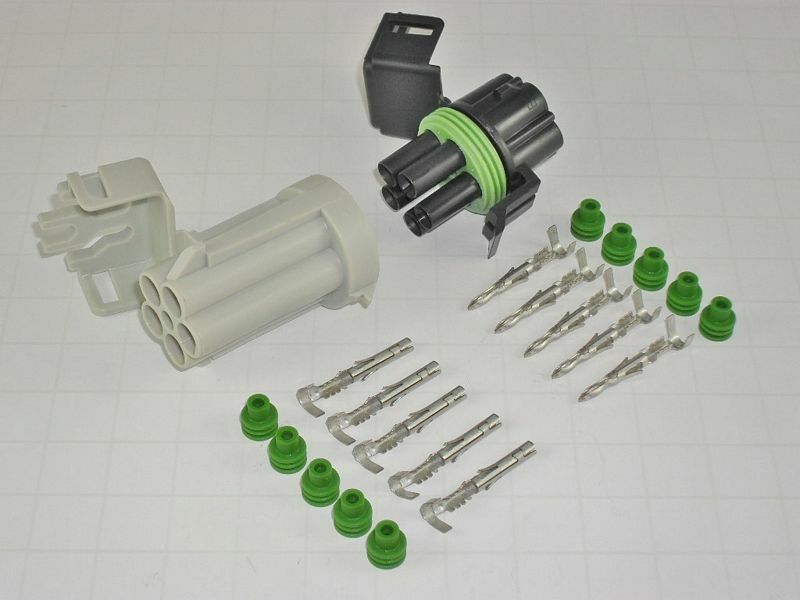 Cavity plugs are available to fill unused cavities.